Chelsea striker Alvaro Morata has arrived in Spain ahead of his proposed loan move to Atletico Madrid. Di Marzio’s Fabrizio Romano reports that the forward is poised to complete his switch to Diego Simeone’s side on a temporary basis, with the La Liga side having the option to make a move permanent for €50 million in the summer transfer window. 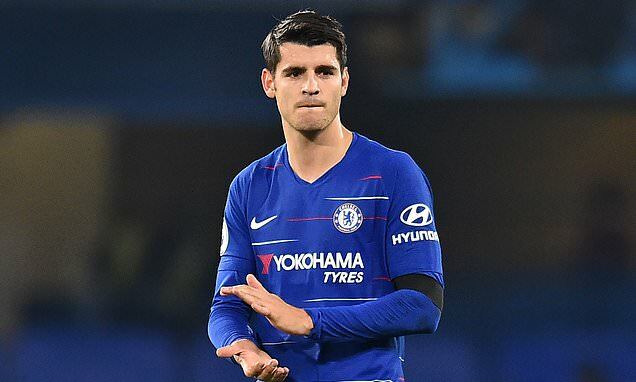 His time at Stamford Bridge has been underwhelming, and the Spaniard has failed to truly nail down a starting place in Maurizio Sarri’s team. The Blues completed the loan signing of Gonzalo Higuain from Juventus until the end of the season earlier this week, all but spelling the end of Morata’s time in London. Atletico want to add to their attacking options, and it seems the Chelsea man will join the club to aid them in remedying their goalscoring shortcomings of late.